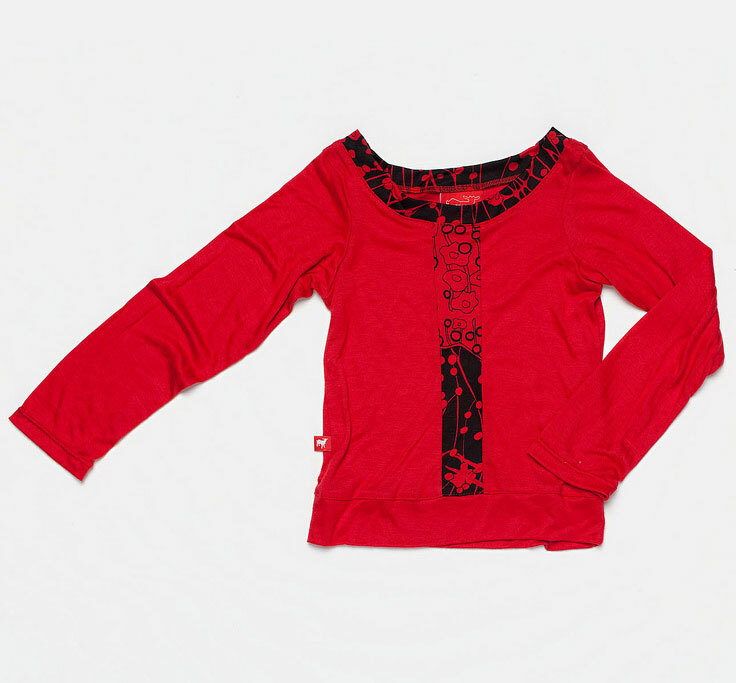 From Knuffle Kid's "Passport Agogo" collection, this soft long-sleeved red top with a red & black abstract floral trim is both sweet and stylish! This top could easily be mixed and matched to go with many an outfit. Unique styling on a practical and highly wearable garment. Knuffle kid clothes are beautifully made & we love the cute retro design of The Mod Top! N.B. 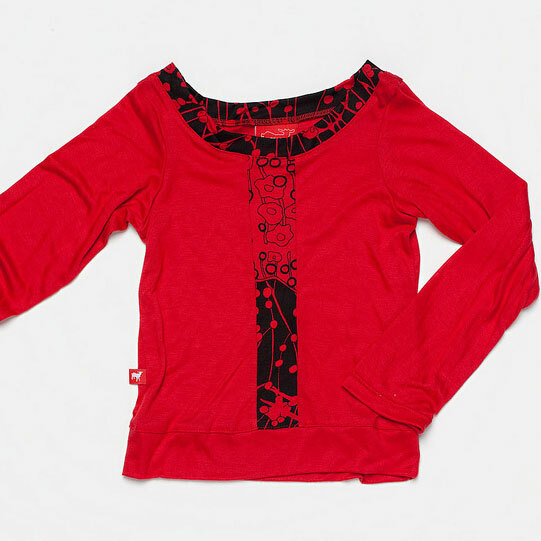 The pattern on the trim fabric varies between mainly red with black detail to mainly black with red detail. So the trim on each Mod Top is a little different depending on the placement of the print. Made in Melbourne. 100% Modal. May contain quirkiness.